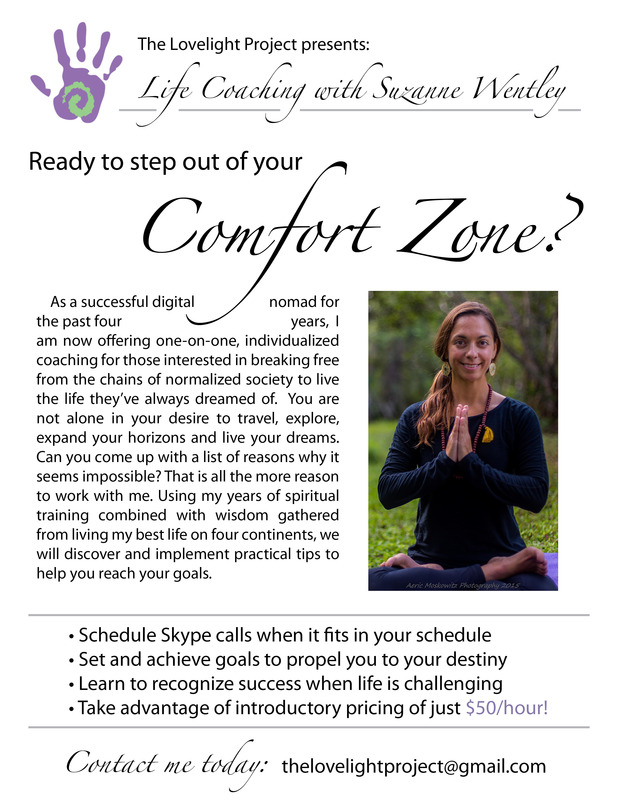 WORK ONE-ON-ONE WITH SUZANNE IN GOAL-ORIENTED LIFE COACHING? SCHEDULE ONLINE YOGA AND/OR REIKI SESSIONS? ORGANIZE A COMMUNITY SERVICE PROJECT NEAR YOU? CONTRIBUTE GOOD BUSINESSES OR EXPERIENCES TO OUR CURATED TRAVEL GUIDE? PLEASE CONNECT WITH US TODAY!